Docker has quickly become the container engine of choice, and it may be replacing a virtual machine near you soon. 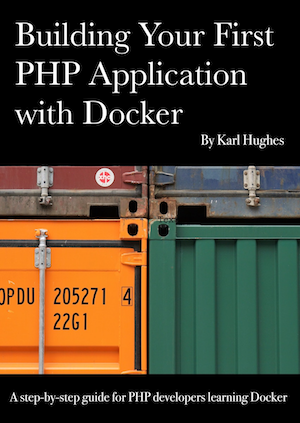 This book offers a step-by-step guide to walk you through building your first real PHP web application using Docker while explaining the basics of the platform along the way. You can buy this book on Leanpub or sign up to get a coupon code to download it for FREE. Start leveling up your Docker skills today! I won't spam you, but you will be notified of new blog posts every two weeks. You are welcome to unsubscribe any time. Feel free to contact me if you ever have questions or feedback.